Joseph Crespino is the author of the new book Atticus Finch: The Biography, which focuses on the character in Harper Lee's To Kill a Mockingbird. 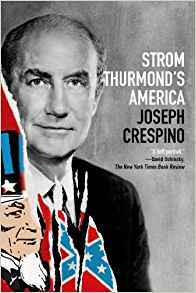 Crespino also has written In Search of Another Country and Strom Thurmond's America. 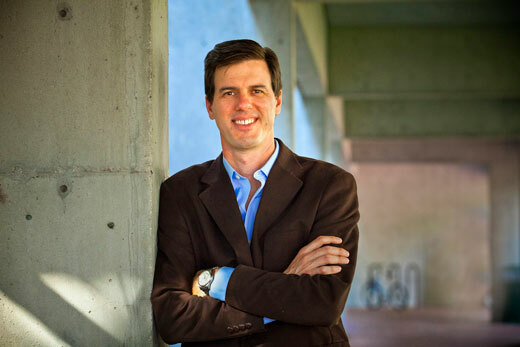 He is the Jimmy Carter Professor of History at Emory University, and he lives in Decatur, Georgia. Q: What inspired you to write this book about the character Atticus Finch? A: I’ve been fascinated by To Kill a Mockingbird and the character of Atticus Finch for a long time. Part of it is that I grew up in a small town in the Deep South that is very much like the fictional town of Maycomb, and Harper Lee’s hometown of Monroeville, Alabama. My mother’s side of the family has lived there—Macon, Mississippi—since the 1830s. Another part of it is that as a historian I have specialized in the history of the 20th century American South, and, in particular, the period when the region transformed from the Jim Crow era into the modern era, so roughly from the 1930s through the end of the 20th century. When you think about the cultural productions that came out of the South in that period, To Kill a Mockingbird is fairly unique. 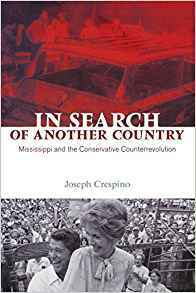 It not only influenced the way that people thought about the South in the era it was published; it continues to do so today, as the book remains so widely read. Q: In the book, you describe the contrasts between the character Atticus in To Kill a Mockingbird and his portrayal in Lee's other novel, Go Set a Watchman. 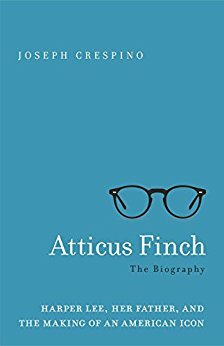 What accounts for the different portrayals, and how do each of them compare with Harper Lee's father, A.C. Lee, the model for Atticus? A: The different presentations of Atticus were dictated first and foremost by the fact that Harper Lee’s story changed. In Go Set a Watchman, the central drama is the adult Jean Louise coming to terms with her sense of outrage and disillusionment over discovering that her beloved father, a man so kind that he wouldn’t hurt a ground squirrel, has fallen in with the small-minded, racist reactionaries in the Citizens’ Council. In To Kill a Mockingbird, however, the reader sees Atticus largely, though not entirely, through the eyes of the adolescent Scout, who views her father in the limited way that adolescent children typically do. In my book, I consider how this literary decision might also have been informed by the shifting politics of the late 1950s South. Both versions of Atticus that Harper Lee constructed – both the idealized figure from Mockingbird and the racist, reactionary figure from Watchman – were drawn, in part, from her father, A. C. Lee, who, like Atticus, was a small-town lawyer and state legislator, but who, unlike Atticus, was also the co-owner and sole editor of the local weekly newspaper, the Monroe Journal. A.C. edited the paper from 1929 to 1947, and maintained an active and ambitious editorial page where he wrote about not only local and state politics, but national and even international issues. The idealistic Atticus can be seen in A.C.’s principled stand against demagoguery in southern politics in the 1930s, or his denunciation of mob rule. The Atticus of Watchman can be seen in his editorials that, beginning in the late 1930s and extending through the World War II years, resented the growing influence of liberal labor and civil rights groups in national Democratic Party politics, groups that Lee felt were threatening the southern way of life. Q: What accounts for the ongoing fascination with To Kill a Mockingbird, and what lessons do you draw from the book given today's racial climate? A: When I give talks in front of student groups, I often ask the audience, “If you have read To Kill a Mockingbird or seen the movie, stand up.” Invariably, it seems, roughly 80 percent of the audience stands up. Then I say, “If you read the book simply because you’re a curious person who loves to read, sit down.” Hardly anyone sits down. The point is that people have read the book typically because they have been assigned it. And why do teachers assign it so often? Partly because it’s such a beautiful book – a wonderfully told story with vivid characters and language – but partly because the book conveys fundamental lessons about the importance of tolerance, empathy, and understanding, values that are essential in the multiracial, democratic society that we live in. Those are critical lessons that all of us need to learn and re-learn, and I hope the book continues to be taught for many years to come. 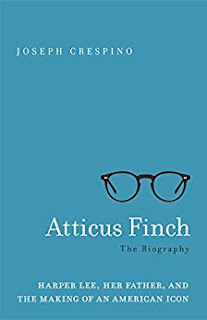 But I hope that my book – by providing a history of the struggles that Harper Lee herself went through in trying to write that book and construct the character of Atticus Finch – can help puncture some of the myths that have grown up around the novel and the character. In terms of our racial and political climate today, I think there are some real similarities between the period when Harper Lee was writing her two novels and our own political moment. In the late 1950s South, right-wing reactionaries who only a few years earlier were considered jokes or nobodies in southern politics rode to power on the backs of demagogic appeals to the worst instincts of white southern voters. Harper Lee was struggling to make sense of her own father’s principled, conservative politics in a moment when the reactionaries had pushed the conservatives aside. I believe she wrote the Atticus of Mockingbird in part as an appeal to white southerners who in other contexts she knew to be decent-minded, reasonable people but who had been caught up in the madness of southern massive resistance. She wrote to remind them of their best impulses, of the nobler traditions of which they were a part. A: I use a variety of historical sources that have either been previously ignored – like A. C. Lee’s editorials, as well as issues of the Monroe Journal from the 1930s through the 1960s – or that previous scholars have not had access to, like files from Harper Lee’s longtime publisher, HarperCollins, as well as letters that Harper Lee wrote in the late 1950s and early 1960s that until recently were privately held. Lots of things were surprising as I did my research: the fact that A. C. Lee, who had a distinguished career in law, politics, and journalism, had only an 8th grade education; finding college writings of Harper Lee’s that, placed alongside her father’s editorials from the same time, allow us to imagine the kinds of arguments and debates about big issues of race and politics that father and daughter might have been having around the dinner table in the late 1940s; discovering evidence that Harper Lee always imagined Watchman and Mockingbird as part of the same larger narrative arc; finding evidence from papers of Horton Foote, the Academy Award-winning screenwriter who adapted the novel for film, and Gregory Peck, who, of course, famously played Atticus in the Hollywood adaptation, that show how the filmmakers were debating among themselves how Atticus should be portrayed on screen. A: My current book takes as its starting point the passage that occurs in the gospels of Mark and Luke where Christ observes that a prophet is not welcome in his hometown. I’m interested in debates and struggles over race and religion in Atlanta during the period when Martin Luther King moves back to his hometown from Montgomery, Alabama. A: There’s lots more to say about the book, but nothing that isn’t better understood by reading the book itself. Thanks for the questions, and for your interest in my work.